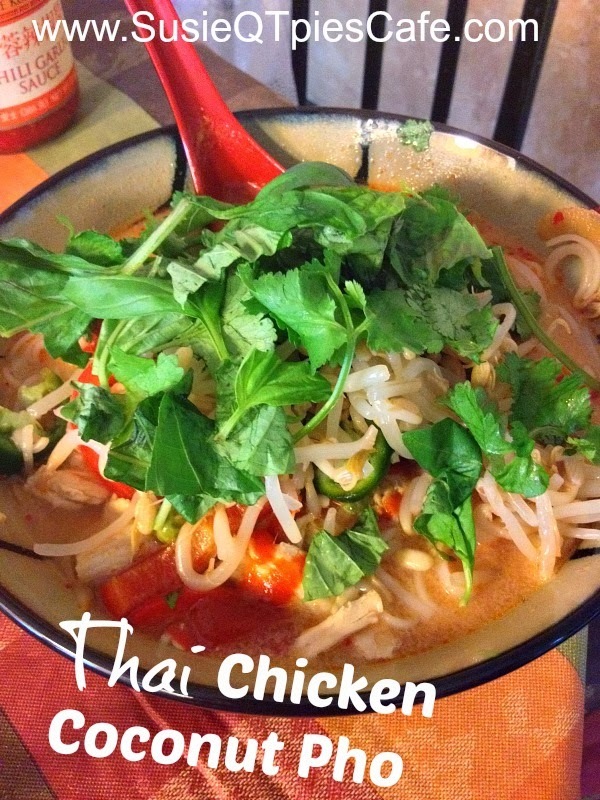 My husband and I love Thai and Vietnamese Food. 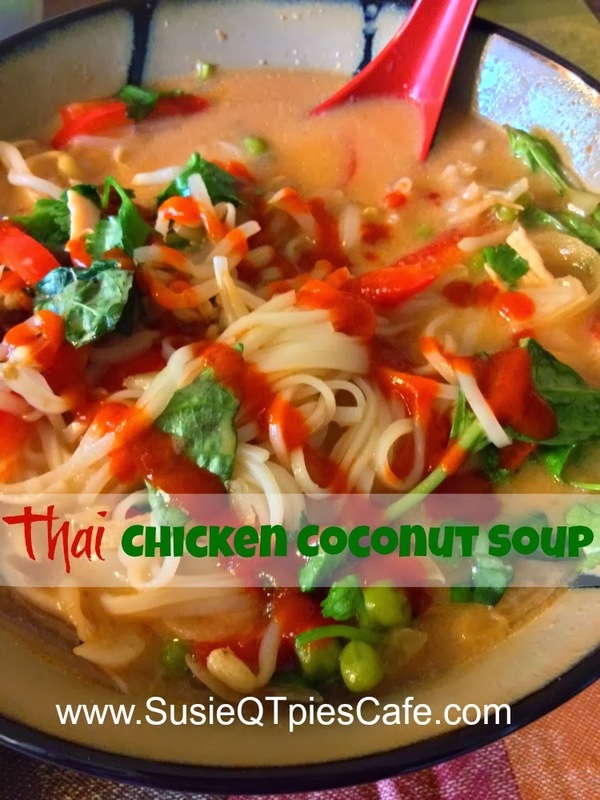 After eating at several Thai and Vietnamese restaurants and trying their soups and pho I put together a few recipes to create this tasty dish. I hope you give it a try. This is the perfect soup for fall and winter. 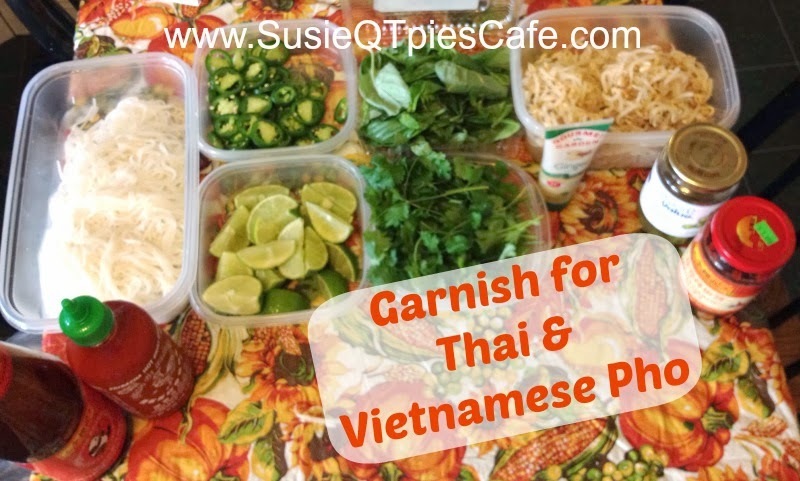 There can be a lot of variations to this soup or pho. I'm giving you the basic ingredients which I made in a 6 quart slow cooker. Change out the ingredients for your favorites. This can be made on the stovetop as well. 1-Add all of the ingredients in a crock pot except lime juice, peas, noodles and garnish. 2-Cook in crock pot on high for 4 hours or 6 hours on low. 3-Make noodles and prep all of the ingredients into separate bowls. 4-Right before serving, add in peas and lime juice. 5-Add noodles or rice into a bowl and add soup on top. Let each person garnish their own bowl. There are so many varieties to this soup. You can leave out the coconut milk or add more/less depending on taste. Switch out the veggies, add jalapenos while cooking,etc Everyone adds in their favorite garnish. Check back as I will be posting another variation which includes lemon grass! Yummy.